Ranveer Singh praised his Gully Boy co-star Alia Bhatt and said that she is a powerhouse of talent. The year 2018 has been a great one for Ranveer Singh. Towards the end of the year, the actor released his last film of 2018 Simmba, which is still running successfully at the Box Office. He will next be seen in Gully Boy and has dropped the first teaser of the film which is already the talk of the town. He will be seen sharing screen space for the very first time with Alia Bhatt. Now, after working with her, Ranveer is all praise for the versatile Alia. On working with Alia in the upcoming film, Ranveer told IANS in an e-mail interview from Mumbai, “Before working on ‘Gully Boy‘, I did some ads with Alia and they were really fun. She has lovely energy about her. But when I worked with her on ‘Gully Boy’, I realised what a powerhouse of a talent she is”. “She has evolved as a person far beyond her years. She is on her way to greatness. She was really brilliant in ‘Raazi’. I have been an admirer of her work and craft ever since ‘Highway‘,” added the actor, who plays a street rapper in the film. Also featuring actor Kalki Koechlin, Zoya Akhtar-directed Gully Boy is a musical drama, based on real-life rappers Vivian Fernandes aka Divine and Naved Shaikh aka Naezy. Ranveer proudly says Alia “could very well be the best part of Gully Boy. “She plays the character, that on the script level, is my favourite character. She has really made it her own, and I’m very happy for her,” he added. On a related note, Ranveer’s Simmba has entered the coveted Rs 100 crore club. The movie was directed by Rohit Shetty. Alia will be seen sharing the screen space with actor Ranbir Kapoor in Ayan Mukerji’s Brahmastra. 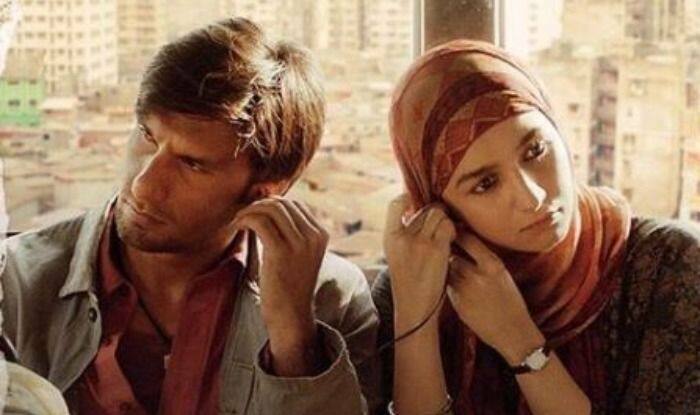 Gully Boy is set to to release on February 14.